Before our first performance this past October, we had a group lesson to rehearse our pieces, and practice playing for an audience. Sounds like it could be a bit boring, doesn’t it? Not in this performance class – it was a riot, and both the students and I had a great time. The theme of the class was “Baby, Take a Bow!” There is nothing I like more than a professional, well-executed bow at the beginning and end of a performance, and I wanted to drill that into everyone’s head. So, to start the class, I stood up from my chair, rambled up to the piano bench, didn’t look once at the audience, plopped myself down on the bench, and gracelessly stuck my hands on the keyboard. Without playing anything, I asked the students to tell me how my performance was going to sound. Not surprisingly, there was not a single positive comment! I told the students they were horribly unfair to me – they judged my playing before they even heard a note! Then, I did it again. This time, I “walked like a princess” to the piano, looked at the audience, bowed, sat nicely down on the bench, and made sure I was at a comfortable distance from the piano. 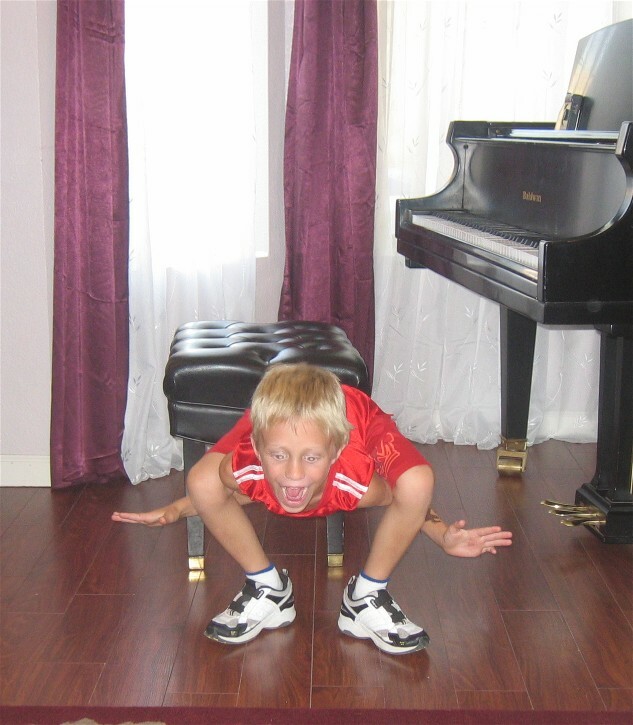 I collected myself for a moment, then gracefully placed my hands on the keyboard, ready to play. When I repeated the question of how good of a pianist I was, responses were all glowingly positive. I told the students people judge the kind of pianist you are from the moment you stand up, before a single note is played. Next, it was time for our first game, known as “How Bad Can You Bow?” I had each student make a grave bowing error, such as bowing with feet apart, looking at the audience while they bowed, not making eye-contact with the audience, the bow-while-still-walking-to the-bench, and anything else the students and I could come up with. Everyone took a turn executing their “bad bows.” We were howling with laughter with some of them. We had a very informal vote, involving cheering and applause for the best “worst bow”. I declared us all winners, and had the students gather around the basket of candy. Their eyes almost popped out of their heads when they saw all that candy! 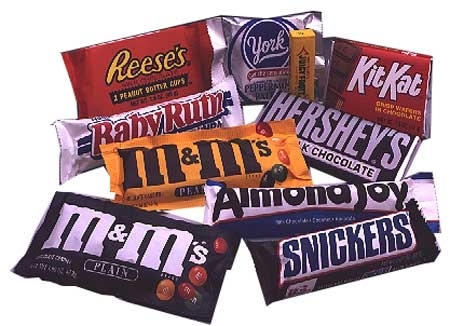 Each student picked one candy bar. Next, we played “How Good Can You Bow?” First, we practiced how to bow as a group. Then, each student walked elegantly to the piano, bowed, and sat down, and played one note or chord. The audience clapped, and the student bowed and walked elegantly back to their chair. If their bow needed attention, I had them fix it. Most were fine, though. We clapped thunderously for the great bows, I declared us all winners, and each child picked another candy bar. We listened to some classical music from the composer of the month while we feasted on our junk food. This was a really good activity for the students, because they saw the difference between a polished pianist walking on stage as opposed to “just some kid playing a song in a piano recital” type of thing. They also got to see why I insist on properly executed bows. People often judge books by their covers, and pianists by their walk to the piano bench. More about this amazingly fun group lesson to come soon! I had a request for Rhythm Cards that included 16th notes. Well, here you are! 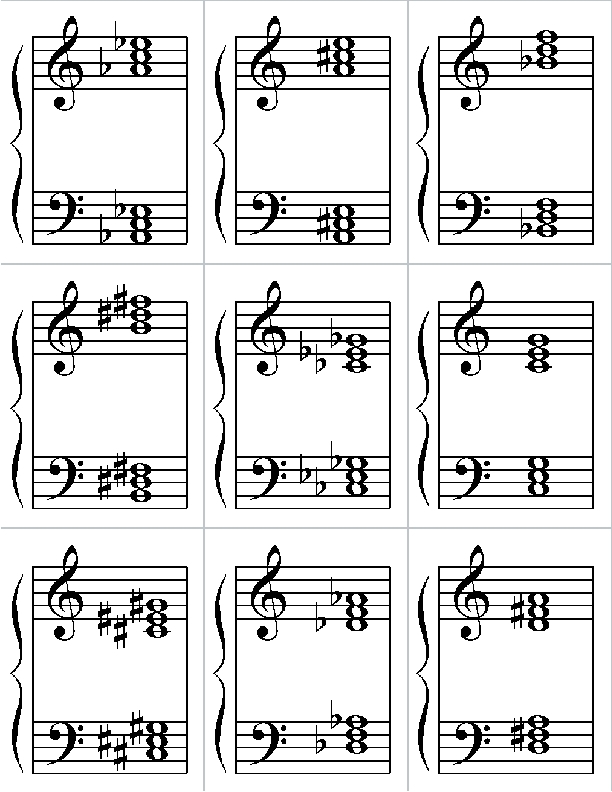 This set of cards includes 16th notes, as well as 16th,8th and dotted 8th combinations. 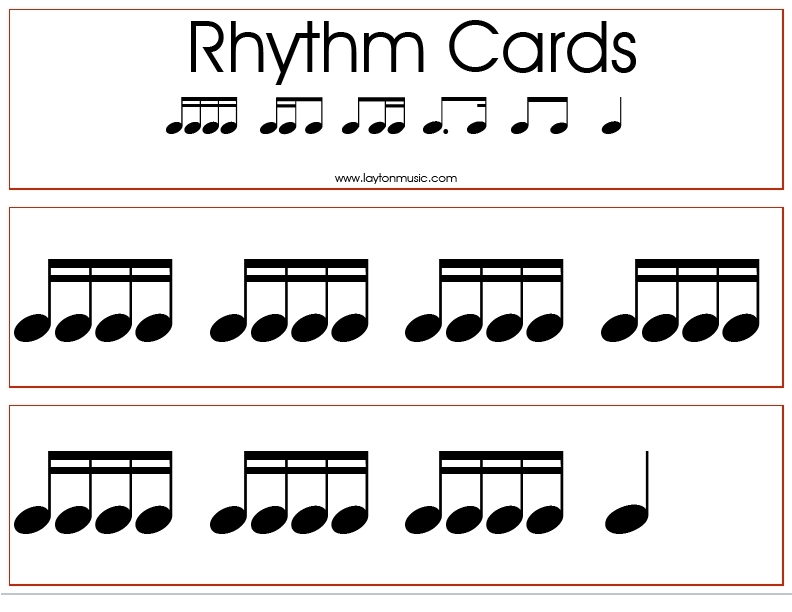 There are 39 rhythm cards in all, and they are color-coded for easy sorting and reference. Enjoy! I am working with many of my students teaching them the pentascales and tonic triads. I thought a Go Fish game would be a perfect reinforcement to what we are doing at the piano. Students practice identifying triads and matching them to their respective names. Print the tonic triad cards out on one piece of card stock, and the names on another sheet. Click on this link for the rules for Go Fish. You can also use these cards for games such as Memory or other matching games. Or, print the triads and names front to back for traditional flashcards. The list keeps on growig, and now there are over 30 simplified LDS Primary songs. You can find them at my Primary Page. If there is a song that you would like me to do, drop me an e-mail, and I’ll see what I can do.